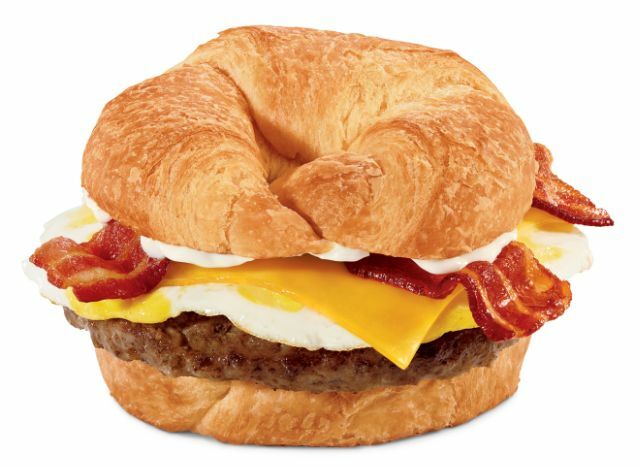 Calling it "Brunchfast," Jack in the Box rolls out a new, all-day brunch menu featuring ten items in all, including the return of my beloved Brunch Burger. 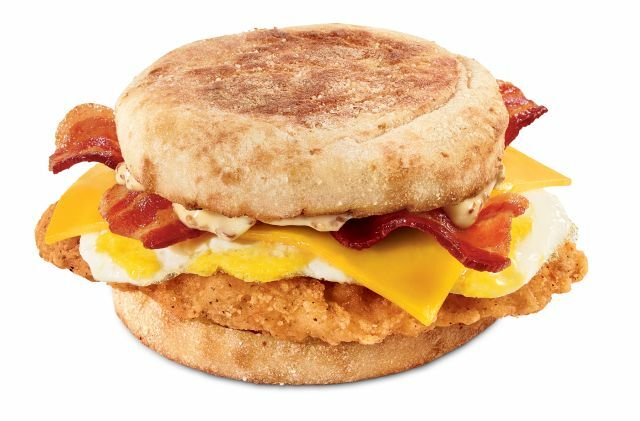 - New Bacon & Egg Chicken Sandwich - A crispy-fried chicken filet, hickory-smoked bacon, cheddar cheese, bacon mayo, and a freshly-cracked fried egg on a toasted English muffin. Fat - 39g (Saturated Fat - 39g) The saturated count is probably wrong but that's what's listed on their site. - "New" Brunch Burger - A croissant topped with a beef patty, freshly-cracked fried egg, hickory-smoked bacon, mayo, and American cheese. The previous version also included a hash brown patty but you can still ask them to put one in for an extra charge. - New Southwest Scrambler Plate - Scrambled eggs, roasted peppers, diced green chiles, and pepper jack cheese served with new Homestyle Potatoes, hickory-smoked bacon or sausage, and a croissant. - New Homestyle Potatoes - Crispy, diced potatoes with bell peppers and onions. 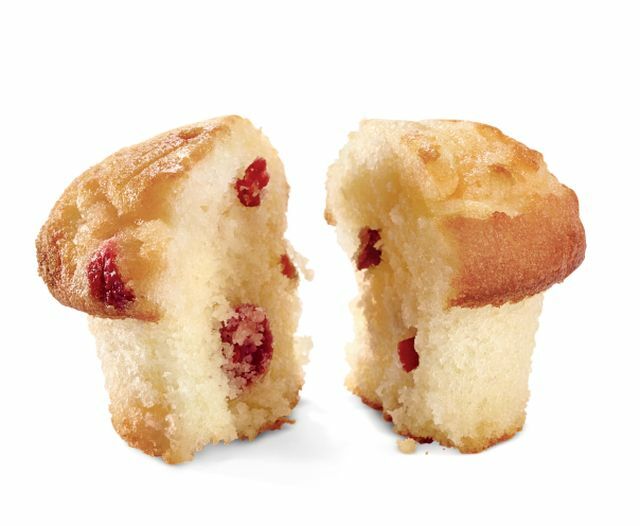 - New Orange Cranberry Muffins - Three to an order. - Mini Pancakes - Eight bite-sized pancake with a side of syrup. 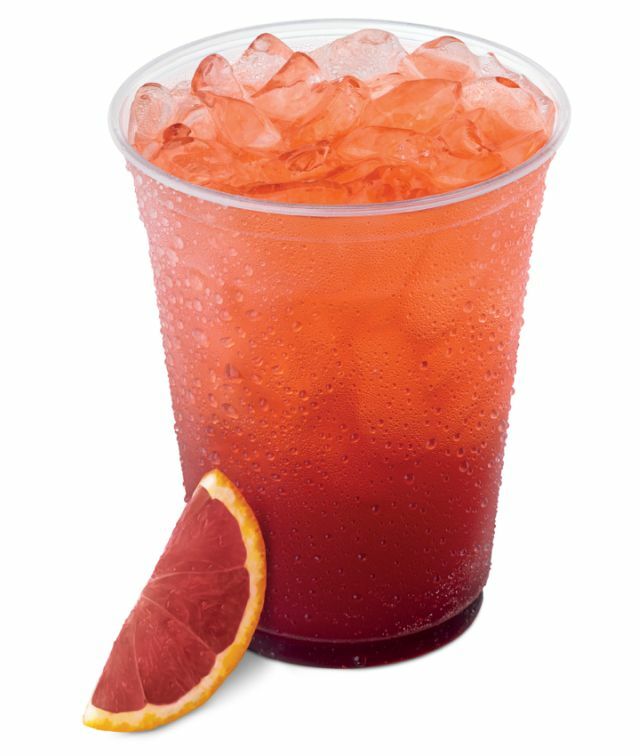 - New Blood Orange Fruit Cooler - Featuring sparkling orange flavor.